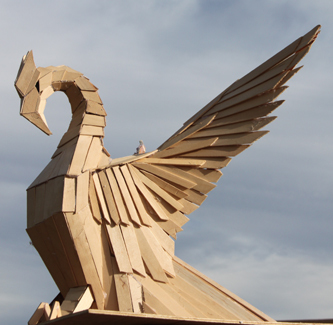 Phoenixville's Ninth Annual Firebird Festival will be held this Saturday, December 8th. The town wide celebration kicks off at 3:30 with several local businesses opening their doors for various Firebird themed events and culminates with the buring of the Phoenix at 8pm. Last year's event drew an estimated 6000 people and this year, with the new more convenient location of the firebird, promises to be even larger. For more information, including a complete schedule of events, visit firebirdfestival.com.